From igloos to Netflix and Chill, Airbnb fans have an awesomely quirky variety of accommodation options to choose from these days. 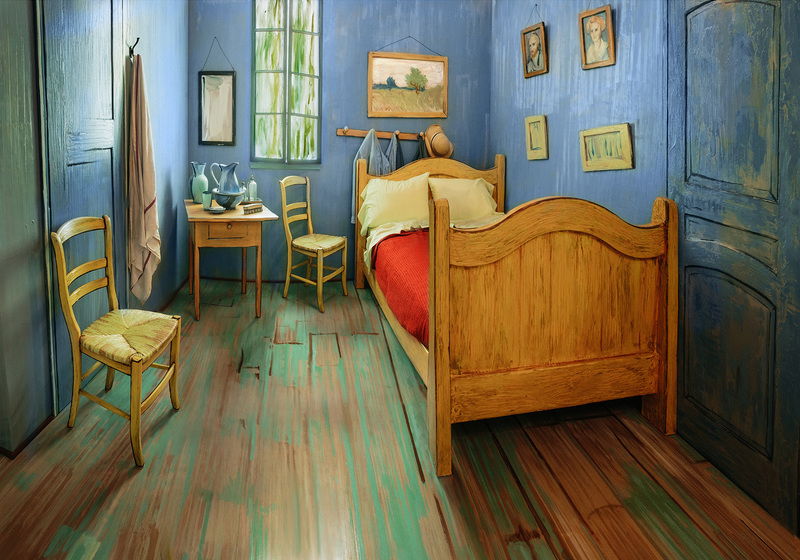 And starting Sunday, art geeks can live out their Van Gogh fantasies via Airbnb through a new effort by Leo Burnett. The Art Institute of Chicago's latest exhibit, opening Feb. 14, brings together all three versions of Van Gogh's "The Bedroom" for the first time in North America. To commemorate the exhibit, Burnett in Chicago worked with the museum (and media agency Spark) to build a full-scale, livable model of the work in a historical downtown Chicago building. "We thought the best way to help people understand Van Gogh's life was to invite them to spend a night in this room," said Burnett associate creative director Pete Lefebvre. "What better way to give people a glimpse into his mind than to create a truly immersive, one-of-a-kind experience like this?" At just $10 a night, including two tickets to the exhibition, it's a bargain. It's available through May 10. See more pics below. Click to enlarge.